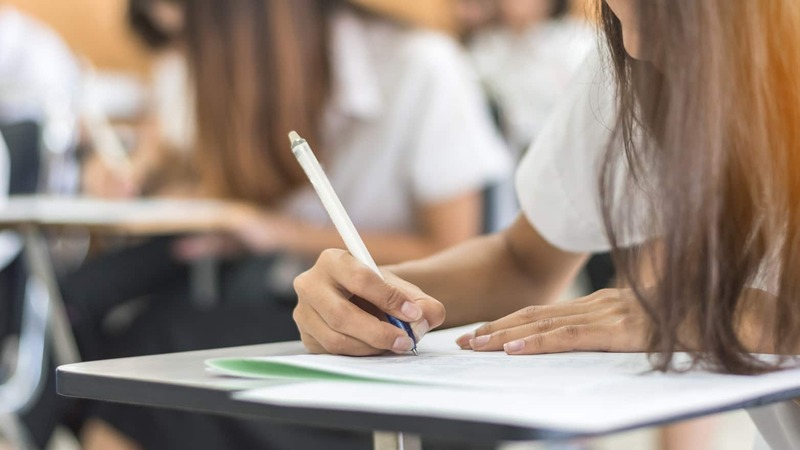 Just as travelers need a map or a GPS to help them find their way to their destination, likewise students also need to be explicitly told what the final objective of the lesson is, and how the teacher would like to see the students achieve it. Research has shown that objectives help both teacher and students focus attention on what is most important to learn (Duchastel, 1979; Marzano, Pickering,&Pollack, 2001). Supplying objectives in advance gives students a clear direction and something to work toward (Woolfolk, 2001). Teachers of English Language Learners (ELLs), especially, must be very explicit in developing purposeful objectives. This helps students to stay focused on the instructional path and not wander aimlessly, not knowing their purpose. ELLs need both language and content objectives; teachers should give them both within a limited amount of time (Echevarria, Vogt, & Short, 2008). 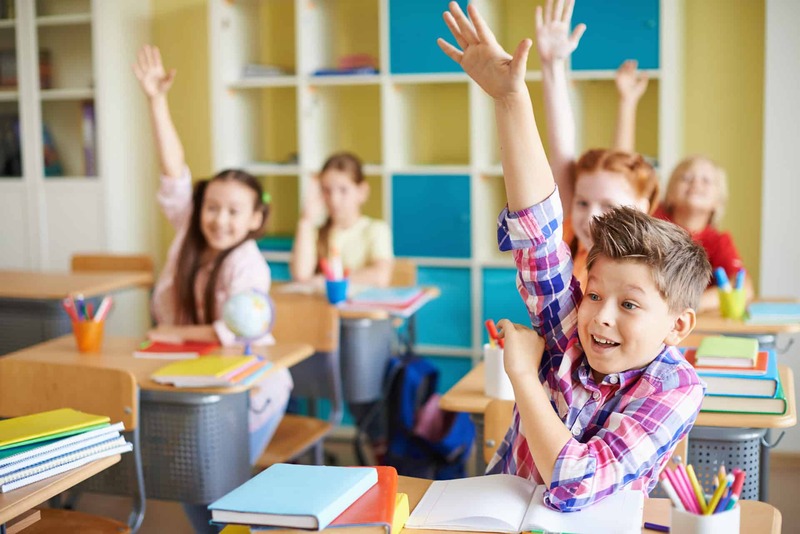 Learning Objectives are also important because the introduction of WIDA standards for English Language Learners has resulted in an increase in rigor and a focus on academic language. 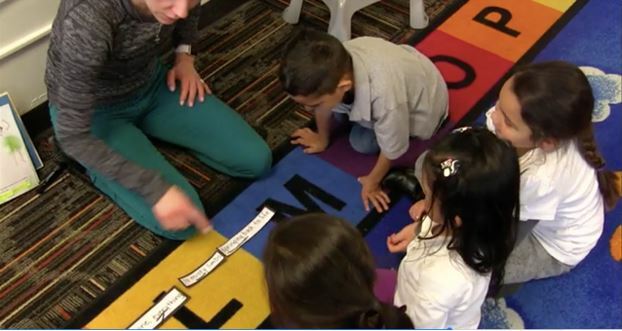 With this shift, the language service models that isolate language development from content have given way to co-taught classrooms where everyone is exposed to the same academic language with scaffolded content instruction. 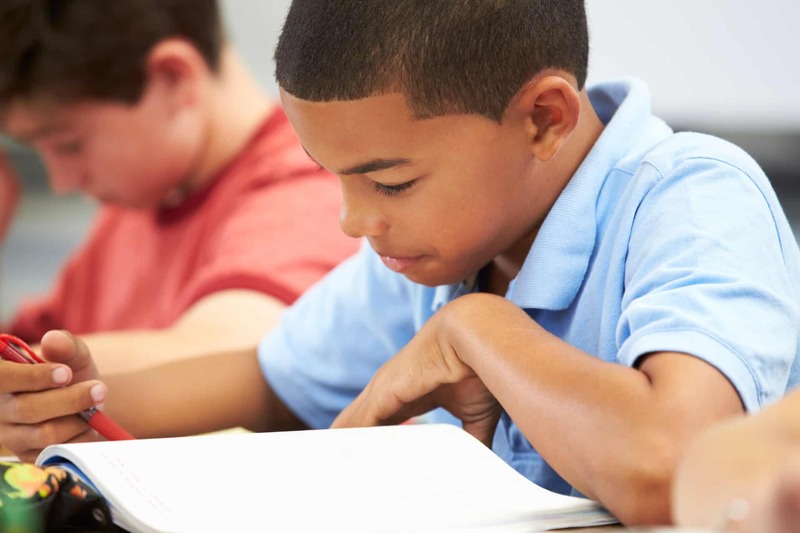 Research has shown that it is very important for ELLs to be exposed to academic language and that language taught through content instruction is far more beneficial to the ELL students. 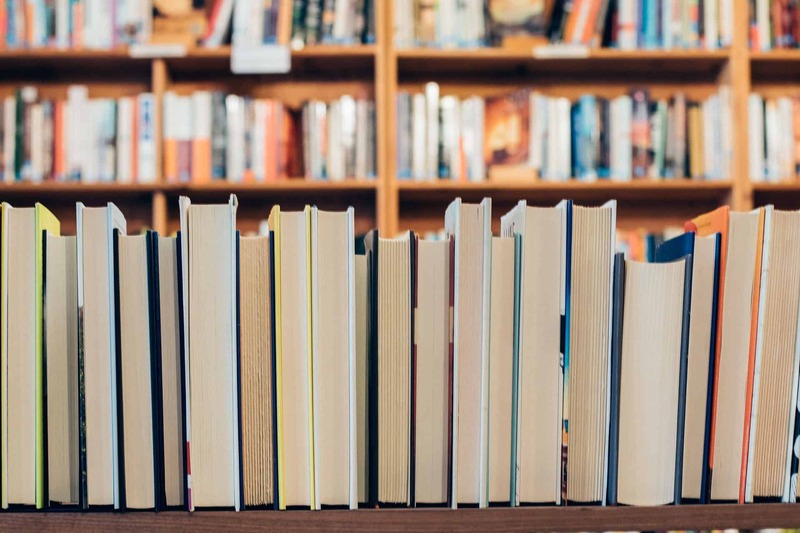 It is difficult to teach content to newcomers who come with no or very limited English proficiency, but it can and should be done. 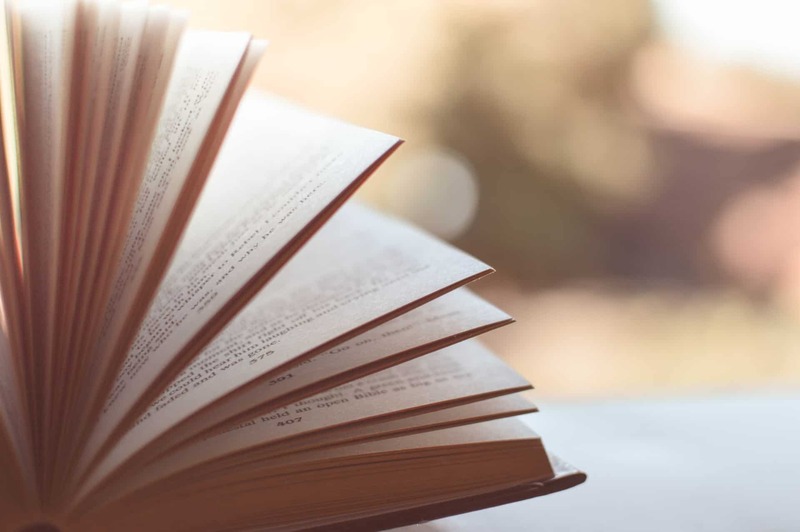 By using visuals, sentence frames, word banks, or even rewriting the chapter of the novel in language that is more comprehensible (as a scaffold into grade-level text), content can be taught without watering it down. The student can also listen to the book or have it read aloud to him or her to scaffold their own engagement with the text. I have a student in fourth grade who has very limited academic English (although his social language is good). I select six vocabulary words (from the fifteen that the rest of the class does) and use visuals and simpler definitions to help him understand the words. I pick words that would help him not only understand the text but also help him in other academic areas, too. Language Objectives are “how” the students will show what they are learning. They are focused on the four domains of Speaking, Listening, Reading, and Writing. The ELP (English Language Proficiency) standards and the WIDA standards are sources of language objectives. 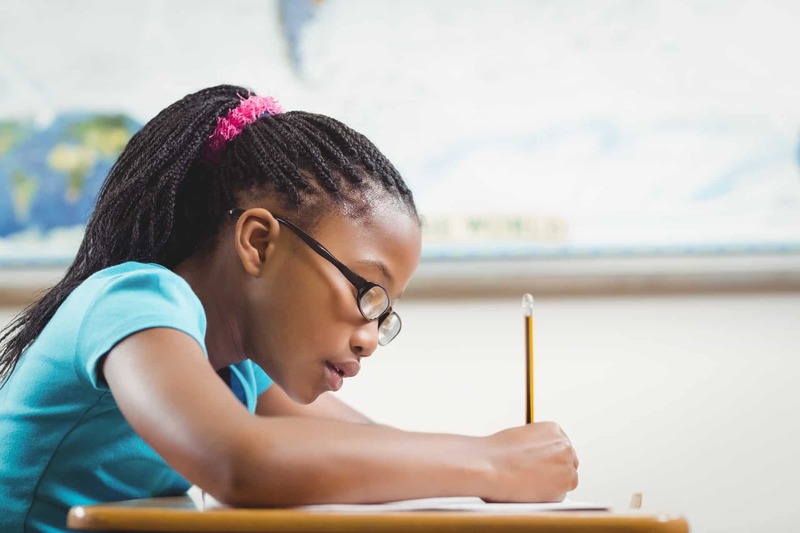 The WIDA consortium has compiled a list of “Can Do” descriptors that can help teachers identify the kind of language tasks students should be able to perform according to the five differing levels of English proficiency and different grade-level clusters. To view these descriptors, visit the “Can Do” page on the WIDA website. What language forms or structure are students struggling with? What language functions do they need to access content learning? What gaps most need to be filled? What will increase their fluency? 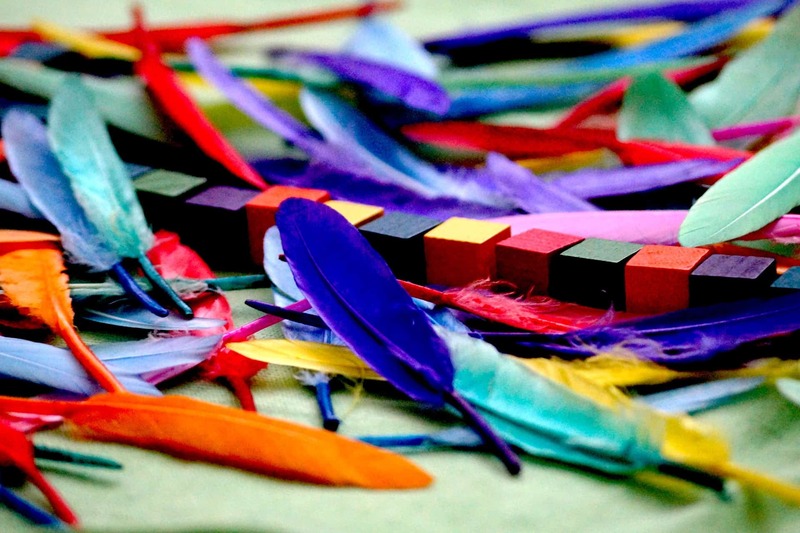 What will help prepare students for the next proficiency level? I focus on one or two language and content objectives and keep my wording of it as student friendly as possible. The objectives could be for a day, for a week, or for an entire lesson. 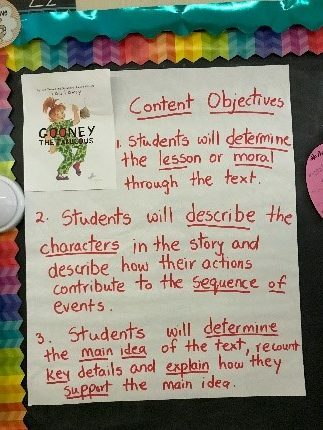 I initially started incorporating content and language objectives only for Reading, but I found they were equally powerful when used with Writing lessons. 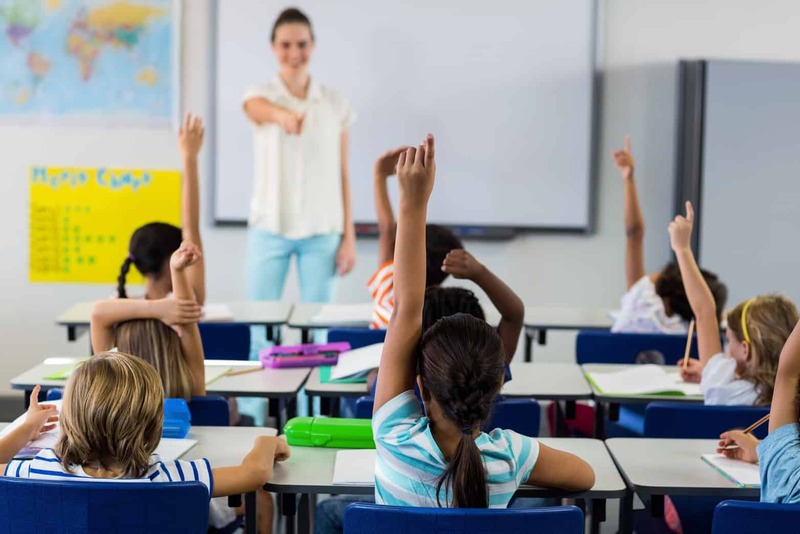 Our school district has recently introduced the Sheltered Instruction Observation Protocol (SIOP) model of instruction, and one of the strategies that SIOP considers as part of best teaching practices is introducing Learning Objectives before the lesson is taught. 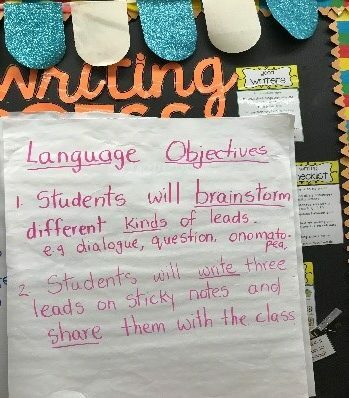 We follow the push-in, co-teach model in our district and I have been using the Learning Objectives in a 3rd grade classroom for ELA and Writing. 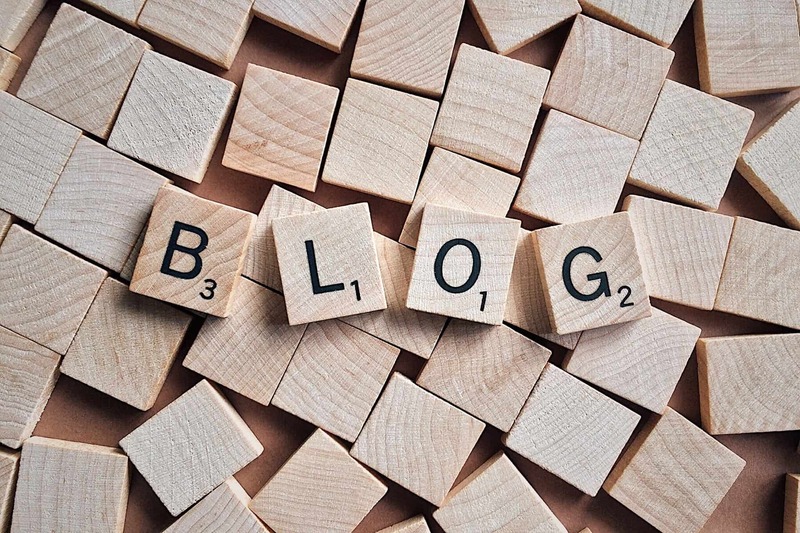 I have found that periodically reviewing the content and language objectives with the students has helped them to stay focused on what they are expected to learn. I also ask them to read the objectives back to me and I ask questions to clarify their understanding of the objectives. 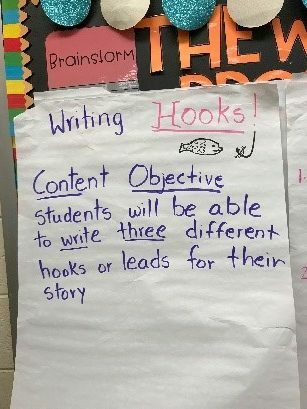 Posting the objectives has helped the classroom teacher and me to focus on the students who are struggling in specific areas like comprehension, sentence structure,or vocabulary development. The objectives have also helped us to create assessments . 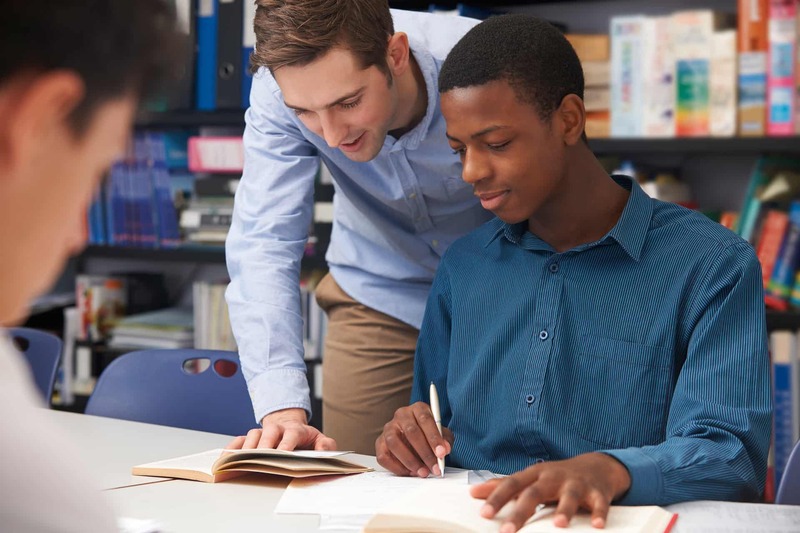 I have also found that language objectives are beneficial not only for ELLs but also for all students, as everyone can benefit from the clarity that comes with a teacher outlining the requisite academic language to be learned and mastered in each lesson. As an ELL teacher, I am able to identify my ELL students’ language proficiency to determine appropriate language objectives. I am also able to differentiate the Language Objectives for my ELL students, while keeping the content objectives the same. We do not post the differentiated language objectives in the classroom, but during our lesson planning, the classroom teacher and I decide how we will differentiate the language objectives for the ELLs and other struggling students. For example, I have an ELL student in third grade, who recently moved from another state. She is a level 3 in Oral Proficiency but is a level 1/2 in Reading and Writing. The classroom teacher and I provide her with word banks and sentence frames to help her meet the content and language objectives. I also provide other forms of support, like small group instruction and modified assessments, for her and a few other ELLs. The writing of objectives have also helped us as a classroom management tool. We use them to make sure we are not sidetracked by other conversations. The objectives have also helped my co-teacher and me to periodically review the progress in meeting our objectives. Are they being met? If they are not, we know we have to teach it differently or change the objective to suit the needs of the students. 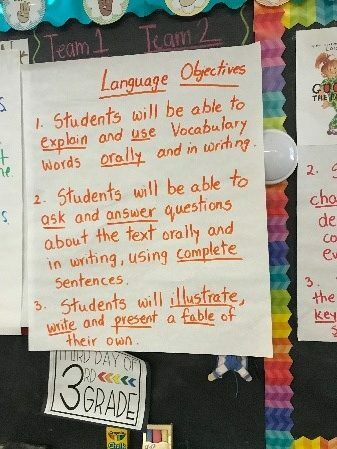 The language objectives particularly have to be student-driven. We have determined that our students struggle with summarizing and providing evidence to support their answers, so that is a language objective we have been focusing on as we do our ELA unit this quarter. About the Author: I am an ELL teacher in Frank Brodnicki School, Justice, IL, an elementary school in Indian Springs School District #109. I have more than 15 years of experience teaching ELLs. I teach ELA in a school district, which has a very high ELL population. The students are predominantly Polish, Spanish and Arabic speaking. 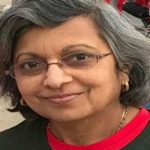 I moved twenty years ago, to the United States from India. As an immigrant, I understand the struggles of moving to a new country and adjusting to an alien culture and language. However, not all ELLs are immigrants. A majority of ELLs were born here and are American citizens. I am fluent in Hindi and Tamil, two Indian languages, besides English. I have a Bachelor’s degree in Economics, English and Psychology, and a postgraduate degree in Journalism from India. I also have a Master’s degree (M.Ed) in Instruction Leadership with an ELL Endorsement from the University of Illinois at Chicago. Two years ago, our school district shifted the ELL instruction to the whole group, co-teach model from the pull-out, small group ELL instruction we did for many years. 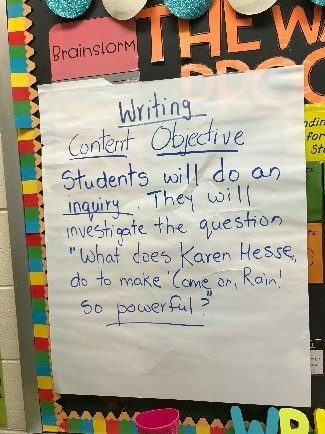 This year, our district has introduced the SIOP Model and a new Writing curriculum created by Lucy Calkins and others.